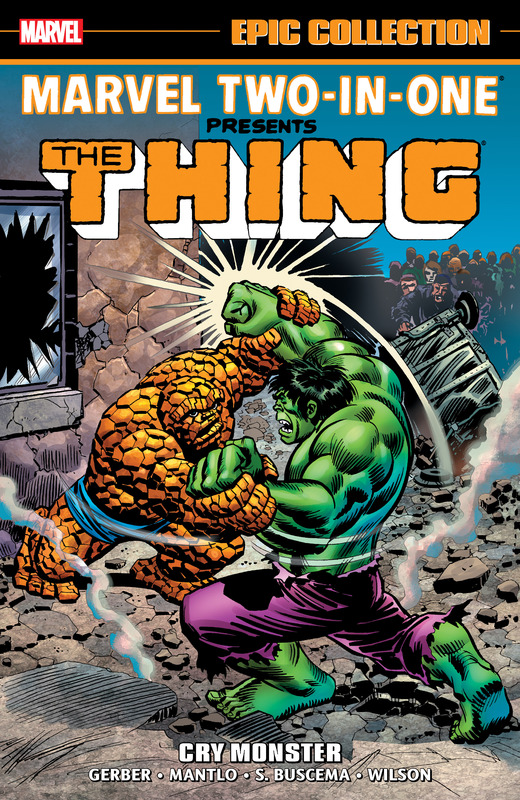 Collects Marvel Feature (1971) #11-12, Marvel Two-In-One (1974) #1-19 and Marvel Team-Up (1972) #47. Watch out, Yancy Street! Benjamin Grimm, A.K.A. the Fantastic Four’s ever-lovin’ blue-eyed Thing, is stomping his way into his own series — guest-starring the greatest heroes in the Marvel Universe! 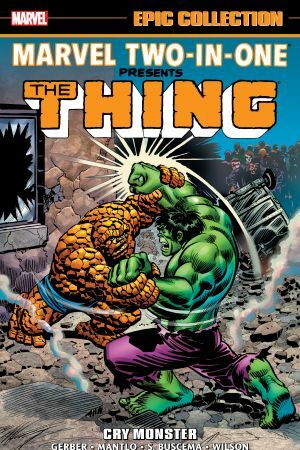 In this inaugural MARVEL TWO-IN-ONE Epic Collection, the Thing battles the Incredible Hulk, the minions of Thanos and the giant monster Braggadoom — and even brings the Guardians of the Galaxy back into the firmament of Marvel stars! He also joins forces with icons like Iron Man, Thor, Black Widow, Daredevil and Luke Cage to battle all manner of fearsome foes! 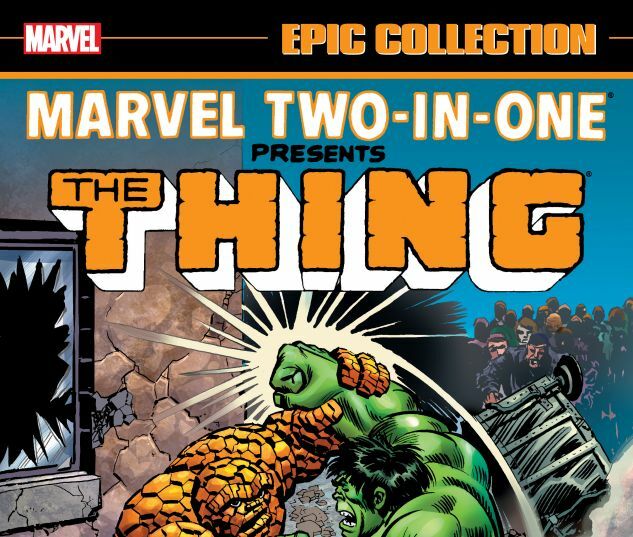 And to top it all off, the Thing travels to the pages of MARVEL TEAM-UP to join the amazing Spider-Man in a MTIO/MTU crossover classic!